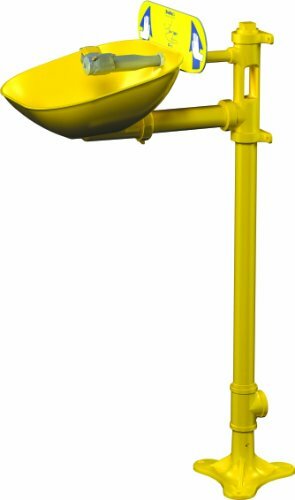 Halo eyewash, pedestal mount, plastic bowl, galvanized steel pipe with yellow polyurethane paint, 1/2" NPT water supply, 1-1/4" waste, UL recognized to ANSI Z358.1-2009, barrier free. Exceeds minimum water flow of 0.4 GPM at 30 PSI. If you have any questions about this product by Bradley, contact us by completing and submitting the form below. If you are looking for a specif part number, please include it with your message.